MORE THAN $50 MILLION IN VERDICTS & SETTLEMENTS I WILL FIGHT FOR YOU! With more than three decades of experience as a personal injury and workers compensation attorney, Robert N. Susko P.C. has established a great reputation with clients and within the legal community. Attorney, Robert N. Susko fights for individuals and their families throughout the state of Georgia, focusing on the areas Atlanta, and the metro areas of, Decatur and Duluth, as well as Cobb County and Cherokee. The following are a few questions that Robert N. Susko, P.C. receives on a regular basis. If you do not see the answer to your question below, please contact us. A member of our staff will be happy to assist you. I’ve been injured in an auto accident. Do I need a lawyer? If you feel that you deserve compensation for your injury, a lawyer can help. Studies show that accident victims receive larger settlements when represented by a lawyer, and victims who had a lawyer receive more money even after subtracting their own lawyer’s fee. I’ve just been injured in an auto accident. What should I do now? CALL US IMMEDIATELY. The time right after the accident can be vital to your claim. Evidence is gathered, witnesses are interviewed and other case elements are developed. Also, there are time limits for making claims. I was injured in an auto accident, but I think I may have been partly at fault. What should I do? CALL US EVEN IF YOU THINK YOU WERE PARTIALLY AT FAULT. We may still be able to get you a recovery. I’ve been injured at work. What should I do? You must report any accident immediately, but not later than 30 days after the accident, to your employer, your employer’s representative, and your foreman or immediate supervisor. Failure to do so may result in losing your workers comp benefits. After you’ve reported your accident, call us immediately. I was injured at work. Do I need a lawyer? Workers compensation injury claims can be confusing and frustrating. You shouldn’t have to wait for compensation for your injury. 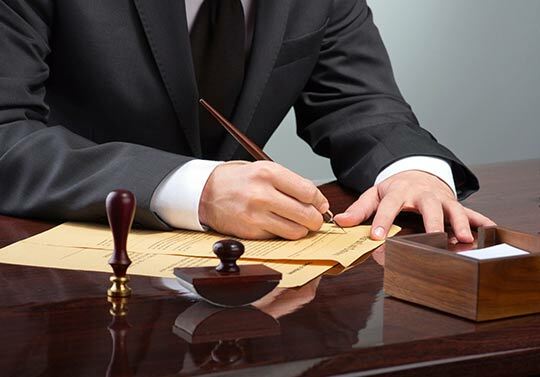 A lawyer can help you get the compensation you deserve in a timely manner. Can I receive compensation for my injury? If you were injured on the job, you may receive medical rehabilitation and income benefits. These benefits are provided to help you return to work. Your dependents may also receive benefits in the event that you die as a result of a job-related injury. If you have been injured in your home, at work or in a vehicle, contact Robert N. Susko, P.C. to arrange a free consultation. All personal injury, work injury and auto accident cases are handled on a contingency fee basis. Our welcoming and accomplished bilingual staff members are ready to serve you. The excellent Mr. Susko and his team will work around the clock on your case. Robert N. Susko is one of the few honest and best attorneys in Georgia with a great reputation. I received an angry, condescending, and disrespectful letter from an insurance company demanding that I pay for a bogus claim for thousands of dollars made by my neighbor. What did I do? I set Robert (Bob) Susko on them both. My, My, how their attitudes changed once Bob became involved. The claim was dropped and dropped quickly. The insurance company knew Bob would NOT be bluffed. There are Atlanta attorneys who talk a good fight, but I know that Bob will definitely fight and win. Mr. Susko represented me several times and he is one of the best lawyers you can have. He knows exactly what he is doing because of the good background and experience he has. He is very quick in handling cases and he will answer your phone calls or call you back in seconds and he will always respond to his emails. I will always come back and have Robert represent me because of the great experience I had with his office. I never thought I would need a lawyer or that I would want to deal with one. I have to say that I was very pleased with the service I received. It’s not something I wanted to have to go through in general, but Bob made it a very easy process! Bob was straight forward and helpful. The overall experience was great. Bob did a wonderful job and made me feel like family. I definitely recommend him to others seeking an attorney in Atlanta. Robert was my choice of attorney in 1986, and many cases since then. He has fulfilled all my expectations in performance and financial decisions in each case. Both he and his staff are polite, courteous, and friendly at all times. I highly recommend him to all my friends and would call on his services if the need arises in the future. Mr. Susko was very caring in helping me with my case. We kept in contact mostly via email because I had to move out of the state, but he kept me up to date on everything. He was always available when I needed to ask him a question or needed other legal advice. Bob was very generous with his expertise on my case. I had never been in an auto accident and was unfamiliar to the process. I was hurt really bad; Bob and his team followed my physical progress before and after surgery and consistently worked my case. We won our settlement and was basically given all the terms we requested. Thanks Bob! You are the greatest! Before Bob became involved in my case, I was being threatened and bullied by a major insurance company. Once Bob represented me, the insurance company quickly realized that their strategy of intimidation was useless. There are many attorneys who claim that they will “fight for you,” but there are few who actually possess the experience in negotiations, knowledge of the law, and the resolve to win that Bob Susko brings to each and every one of his clients in their disputes with powerful opponents. Bob fought for me and won. He is the best! Bob was attentive, prompt, professional and effective in every aspect of my case. I would strongly recommend him to anyone. His personal touch made a difference. If you want a standup attorney with your best interests in mind, Bob is the attorney you want to hire! © 2018, Robert N. Susko P.C. All Rights Reserved.